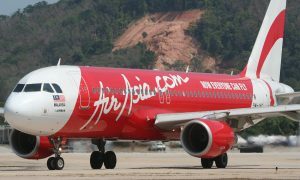 AirAsia announced additional flight frequencies for Kuala Lumpur – Lombok, increasing the airline’s flight capacity for the route from ten weekly currently to fourteen weekly, starting 23 January 2015. The drive for the additional flight frequencies is to cater to the needs of Malaysian and foreign tourists to fly to Lombok via Kuala Lumpur, which saw a steady rise in demand ever since the route was first launched in 2012. 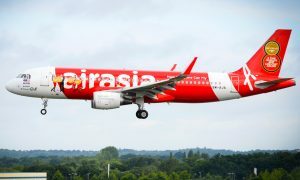 AirAsia Berhad Head of Commercial, Spencer Lee said, “The additional Kuala Lumpur – Lombok flight frequencies provides our guests with more convenience and enhanced schedule flexibility, as they can travel from Kuala Lumpur to Lombok and return on any day of the week”. 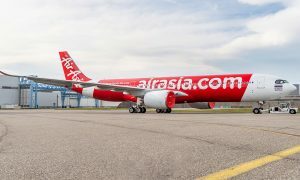 “Currently, with ten weekly flights on our schedule, it is already an excellent feat as we are the only airline with the biggest direct connection from Kuala Lumpur to Lombok. We are always committed to continually grow connectivity from Malaysia to Indonesia, reinforcing bilateral ties through direct air connection to various destinations of both nations,” Spencer added. AirAsia also flies direct from Johor Bahru to Lombok with 3x weekly flights. Besides catering to increased demand, the additional flight frequencies is the airline’s continuous effort and contribution to bring in more business and leisure travellers into Lombok and presents unparalleled access to Kuala Lumpur for Lombok’s population. AirAsia flies to 15 Indonesian destinations such as Jakarta, Bali, Medan, Surabaya, Bandung, Pekanbaru and the only airline to fly direct from Kuala Lumpur to Banda Aceh, Balikpapan, Yogyakarta, Lombok, Padang, Palembang, Semarang, Solo and Makassar, reflecting the airline’s commitment to develop and grow underserved destinations and present unmatched connectivity from Malaysia to Indonesia.